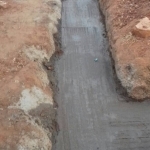 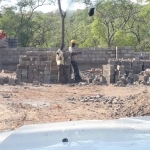 Due to the rainy season which is mainly November to April progress has been delayed. 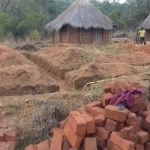 Rainy season in Zambia is an obstacle all of its own. 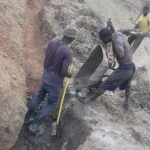 Work had to be put hold, not just because it’s raining but because the road ways out in the villages which are not tarmac or even smooth going are just impassable. 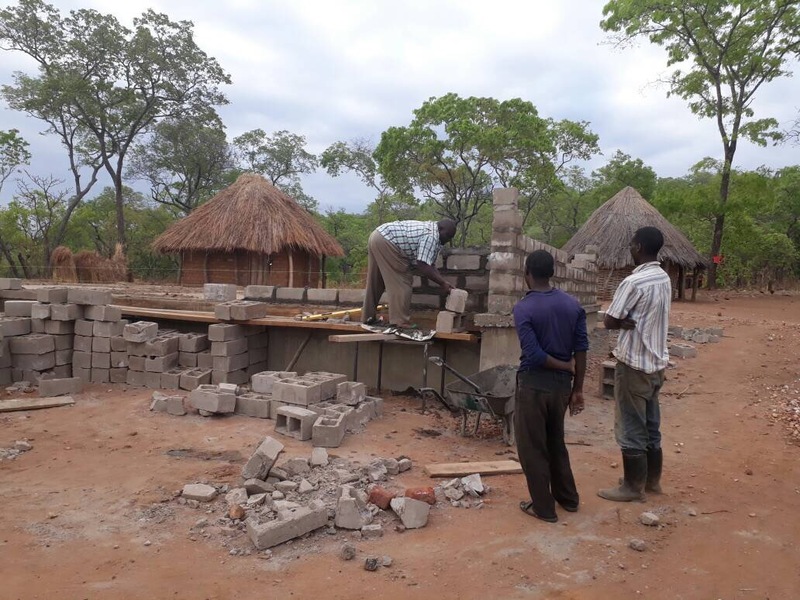 This years rainy season was longer than usual but despite this our builders seemed to complete the foundations within the blink of an eye. 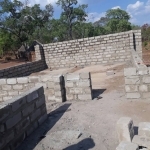 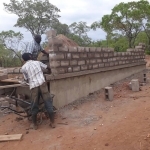 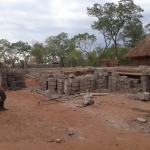 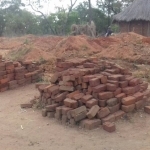 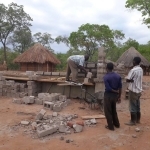 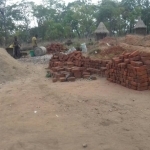 By July they were complete and the builders were requesting the funding for the next stage, we made the decision to pay the extra to purchase the bricks for the building as there were problems with timescales and everyone is aware that the next rainy season will soon be upon us and as the proverb goes we wanted to make hay while the sun shines. 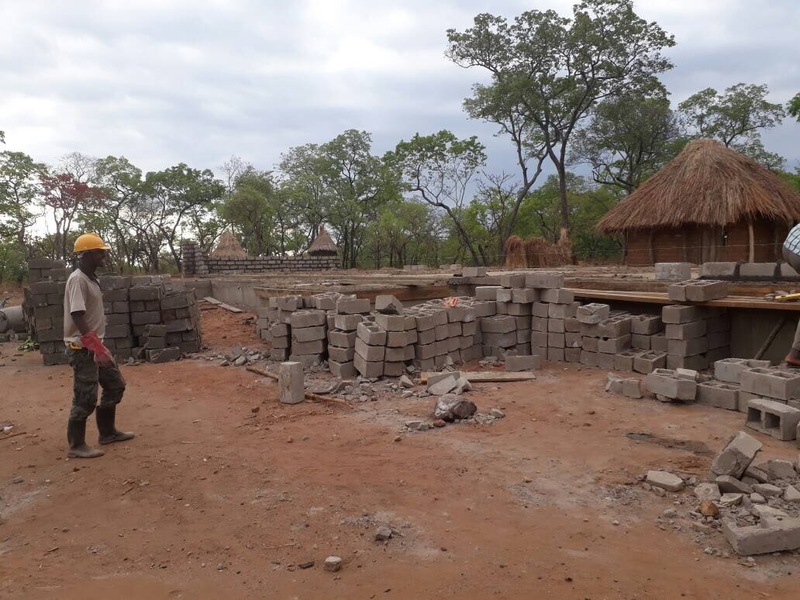 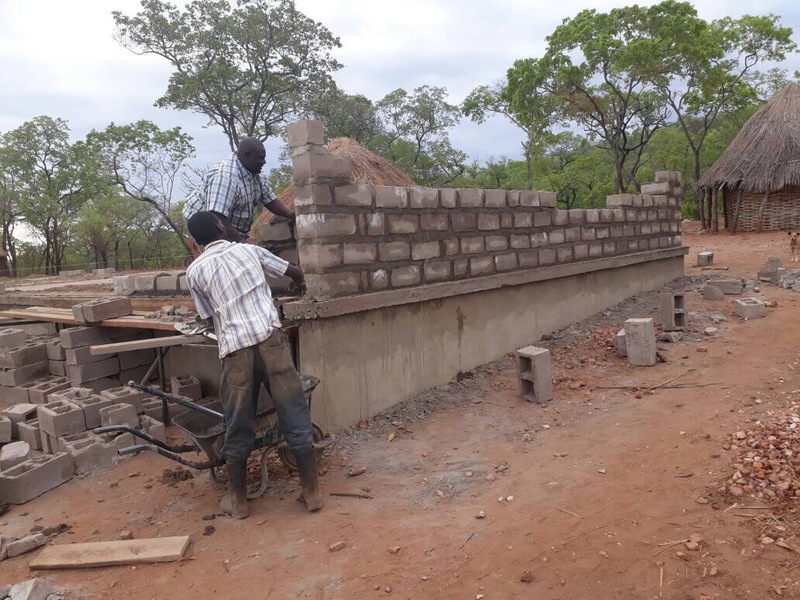 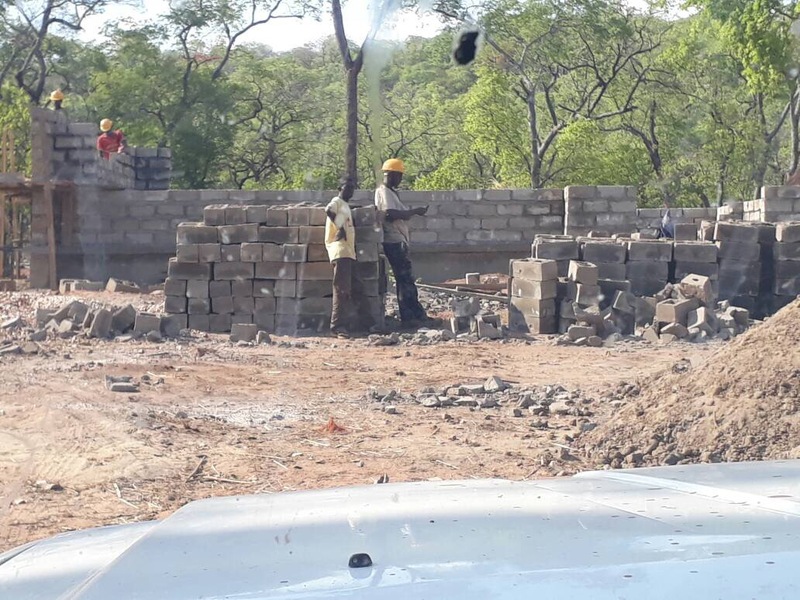 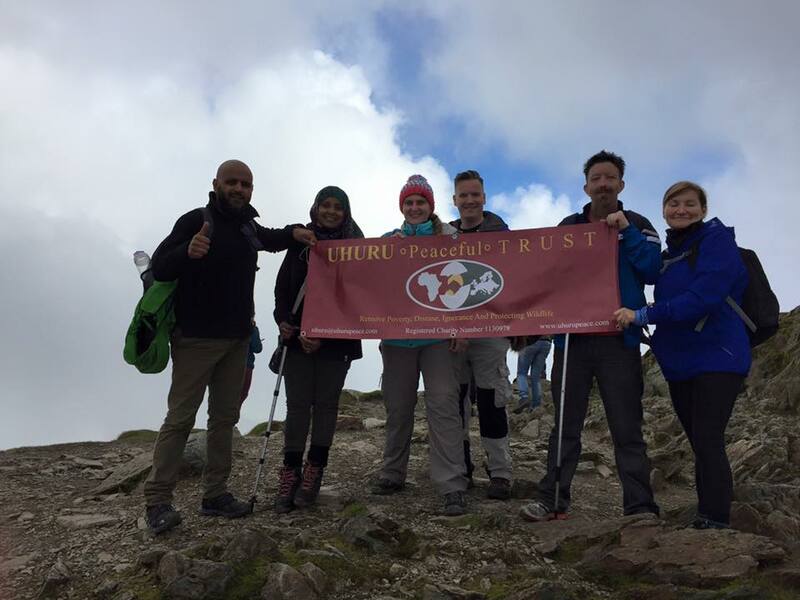 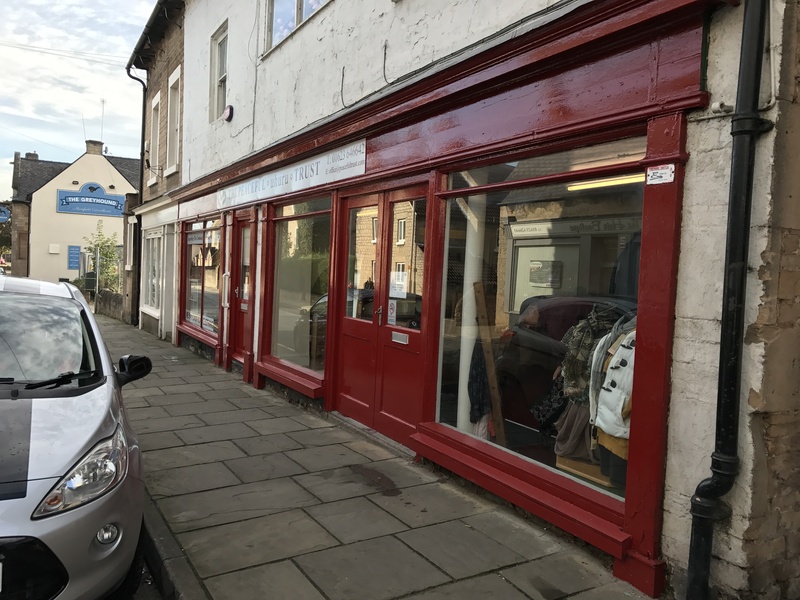 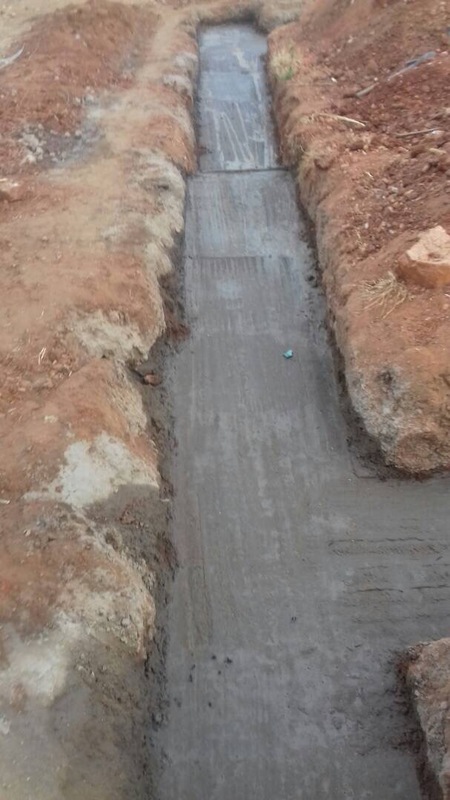 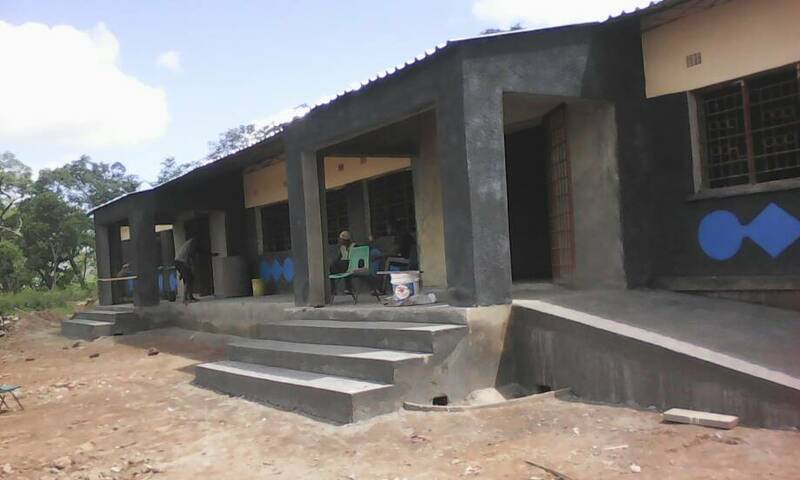 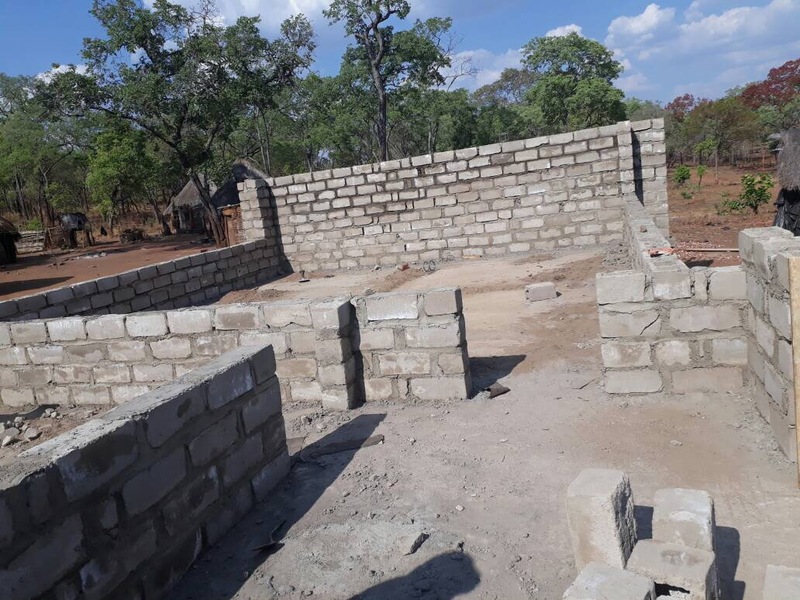 As you can see we have come a long way from the empty space that was there on our initial visit, hopefully we can get a little further before the rain comes and maybe the next update we receive will be when we are ready to have a roof put on our school.